Our specialist parking team have been in action again this week with a successful operation to tackle persistent evaders of parking offences. 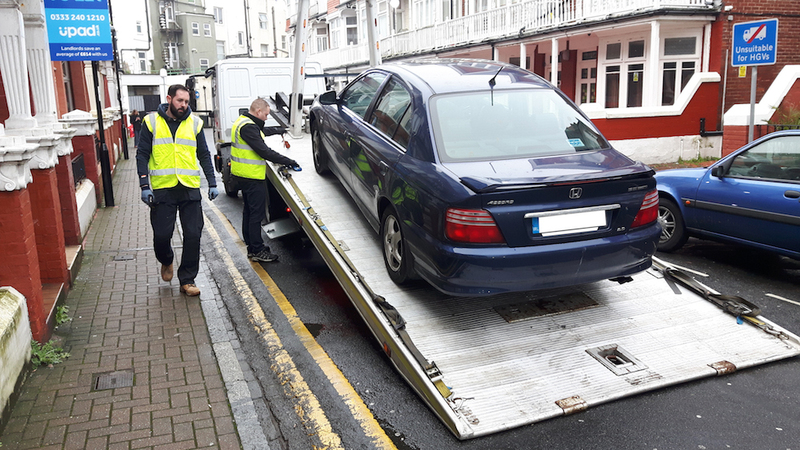 The action took place on Friday (6th January) and resulted in 4 vehicles being seized whilst in contravention of parking restrictions. One of which was a Honda with an Irish number plate, unregistered with the DVLA and had acquired 25 penalty charge notices prior to it being seized and subsequently removed.